The farm was established and expanded from the 70s to the 80s with the acquisition of several small plots of land which together totaled approximately 35 hectares. The completely level land is located in the territory of Castelvetrano, in the Belìce Valley, where pedoclimatic and varietal features facilitate the cultivation of the farm’s 6000 trees. The olive trees are of the autochthonous Nocellara del Belìce cultivar, which is particularly suited for producing both table olives and extra virgin olive oil. In 1998, the company began performing its own milling and bottling. Long and arduous work finally gave rise to the “Incoronati” label. The respect and care with which the trees are treated during the production cycle guarantee wholesome olives, from which it is possible to extract oil rich in elements that are essential for good health. 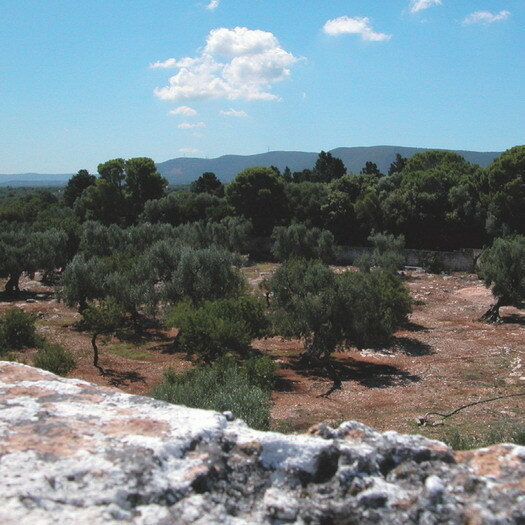 The olives are harvested by hand, using the traditional method. In this way, the drupe is not damaged and the quality of the oil remains intact. After careful selection of the best fruits, the milling phases take place under strict supervision. The organoleptic characteristics of the fruits are entirely preserved as a result of continuous cycle cold press extraction. The name “Incoronati” derives from the Norman custom of utilizing oil from these valleys to anoint the king’s forearm during the coronation ceremony.